nikkistyle™: Open Letter To Chad Ochocinco Regarding, THIS SHOE! Open Letter To Chad Ochocinco Regarding, THIS SHOE! Style Notes | NFL wide receiver, Chad Ochocinco, posted this image via his Twitter page and commented, "Ladies - you got to be a bad mofo to pull these off..." And my response is this: "Child please, I was born to wear these." Signed, Nikki. 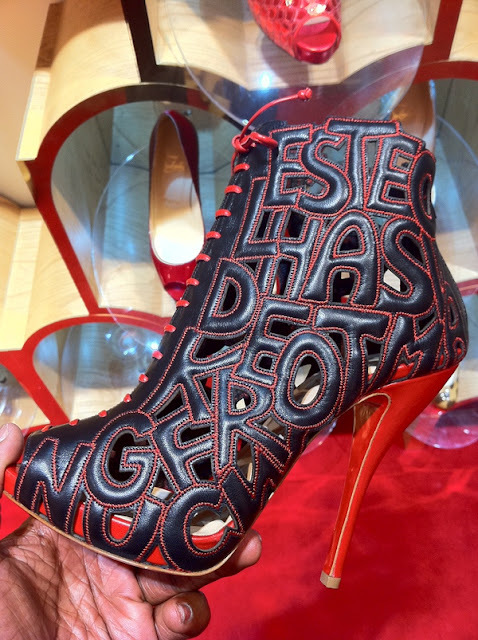 Tip: Do not over-accessorize if you're bold enough to wear this shoe; all that letter detailing and fire engine red will make the intended fashion statement ... that you're bad!